TeacherDance: It's August - So #PB10for10 - Hurrah! 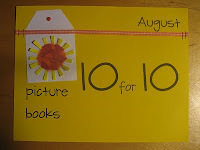 It's PictureBook10for10 (#PB10for10) where many share ten picture books that are Must Haves! Cathy Mere of Reflect and Refine: Building a Learning Community and Mandy Robek of Enjoy and Embrace Learning host this wonderful tradition. You can find everyone's posts HERE! This is a most fun day of the summer. Although I no longer teach, I'm now working at a used bookstore and among other duties, am in charge of our children's section. I also review books for various memes and on Goodreads. I want to keep up with the latest, yet also remember those books still of value for children, in and out of the classroom. My TBR list grows. Thanks, Cathy and Mandy, this is a tradition I look forward to every year! The Important Book – by Margaret Wise Brown, ill. by Leonard Weisgard – It’s pure poetry, or is it? It’s also a book that can help students summarize, get to the core of ‘what’s important’. I use this for both ideas. Frédérick written and illustrated by Leo Leonni – I cannot omit a book that’s about poetry and this is one of the best. It tells the story of the little mouse Frederick who doesn’t seem to be doing any work to help his community survive a harsh winter, but he does, oh yes, he does that beautifully. Meg Medina tells this story of people who don’t have a lot of money, but save for something important, like a car, and still send money back to family in their former country, to be respected for their sacrifice and discipline as they save. A little sister tells the story about her older sister, Tia Isa, who wants a car so they all can go to the beach. There are some sweet actions by the little sister in the book, doing what she can do to help. Some Spanish is included, but the country of origin is not told. The illustrations are watercolor, simple and realistic. For use in writing workshop: Sometimes it's good to choose a topic, to show students that writing about a common topic can show the diversity of our opinions, and we learn so much about each other. Bookspeak, Poems About Books is a great mentor text for celebrating point of view. 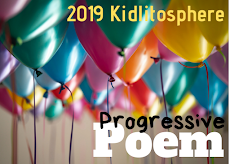 Laura Purdie Salas shares her lovely poems in both different structures and different kinds of ways to look at writing. A favorite is her poem about the sadness of being the book's "middle" instead of being "first" or "last". 2015 - the love of reading In my re-reading the posts, I realized that I shared Laura's book (above) this year, too! It’s not easy to keep connections when you have to move two times a year to follow crops, as the family in this story does. They’re in Texas in the winter, Iowa in the summer. The story is based on the true experiences of Tomás Rivera, who became a university professor, a writer and an education leader in his life. The Univ. of CA at Riverside library is now named after him. Tomás loved stories, and loved listening to his grandpa tell them. One day his grandpa told him to go to the library to read more stories so that he could come home and tell different stories to the family. Tomás did, and found a kind librarian who fed him books and books and more books. It’s another wonderful story about a librarian who makes a difference in someone’s life, showing Tomas often getting lost in the stories. These particular pages are made even more wonderful with Colón’s beautiful woodcut illustrations of this reader’s imagination as he reads. It’s a very sweet story. A walk around a neighborhood can make a terrific start to any day. I’ve had students take journals home and walk around their own neighborhood, recording with all the senses. This is a very favorite book of mine, one I've used for myself, taking my own walk and recording. 2017 - recent books, ones loved so much I had to own them - It was hard to choose from this list! The Lonely Mailman - It's a new favorite story from Susanna Isern and translated from Spanish by Jon Brokenbrow. This lonely mailman delivers mail each day to all the forest friends, although he never receives any himself, until it changes. . . Beautifully shared in a solemn way: that’s just as it is! But one day something different happens and that has all of us readers smiling. There are delightful parts of the story that are slyly put into the illustration by Daniel Montero Galán if you pay very close attention. It's a terrific book, reminds me of that quote by John Wooden: "The true test of a man's character is what he does when no one is watching." 2018 - And the newest ones. Already in this year, there are wonders, and more coming! Leonard took a deep breath. . . "I'll say this quietly;/I needn't roar to be heard./I can be a friend/to a bee or a bird." Thus he gives his retort to all the other lions who insist he's gone too far by being a friend to a duck, instead of "chomping it". He is being himself! I love the boldness of the words and the illustrations by Ed Vere. It's very similar to The Story of Ferdinand by Munro Leaf, illustrated by Robert Lawson (1936). Maybe we need to keep learning this lesson? Oh, I wish I had had this wonderful book when I was teaching. Often, I suggested that students research and write about their names. There are other great books that tell about names, like The Name Jar by Yangsook Choi and one chapter of The House on Mango Street by Sandra Cisneros, and this one is a very special one. Alma Sofia Esperanza José Pura Candela has way too many names: six! She is shown trying to fit her name on a piece of paper that needs an addition. As Alma talks to her Daddy, he begins to tell her about all her names, like "Sofia, her grandmother" who likes books and poetry and of course "Daddy". Alma agrees that she, too, is Sofia who loves books, poetry and her daddy. The stories vary, but soon Alma realizes that indeed, though long, each name fits. We all do wear our names from the past, but Juana Martinez-Neal adds one extra idea at the end that readers will love. Martinez-Neal's muted pencil illustrations feel like sweet stories, with touches of color mostly in Alma's dress and a few other spots. I was happy that Candlewick sent an advanced copy. I love celebrating Amy's new book. More than once I have wished I was teaching again. My school's philosophy was built on a few concepts including the learning that comes from making things. I am grateful for the joy of having two young granddaughters near who visit often, ready to create! Amy defines what a maker is in the first poem, "Maker": he or she "is a tinkerer, a maker will explore./A maker creates/something new/that/never/was/before" and adds many poems about the wide varieties of making like painting, knitting, glitter pictures and creating with clay. Readers can use each page as inspiration OR read the poems and re-visit what is most loved and "make something". Will you make "Leaf Pictures" where the "leaves look like stained glass" or bake "Cookies" and "resemble/clouds of flour"? The poem forms vary from rhyme to free-verse, list and shape poems. Lou Fancher and Steve Johnson MAKE their delightful multi-media illustrations from Amy's words and each becomes the "project" Amy describes. Take a close look at the title and you will want to open the book to see "wood projects and quilts and paintings and glue and scissors and. . .
As I created this list, I was reminded of the old wedding saying, "something old, something new, something borrowed, something blue". Silly perhaps, but it covers all the books shared. Happy Reading! Thanks for sharing this rich collection of old and new books Linda, a real treasure! I like the art on "The Lonely Mailman," I'll have to look for it–along with a few more. It kinda reminds me of Arnold Lobel's art. Thanks, enjoy each one you find, Michelle. They are all wonderful! Not silly at ALL! I really do love your title selection. Tia Isa is one of my favorites...and the story works for middle school too. Alma is a stunning book. I got to meet the author and talk to her about making the book. This book will be a favorite of mine always. The love that went into its making and the love that comes from its reading is exceptional. I don't know Bookspeak. I need to get that one! Great post. Love how connected you are to literature. So many great books. Alma, by far, is my favorite on this list! I love Leo Lionni and Margaret Wise Brown - such classics! Thanks, Lisa. I think Alma will stay on a favorites for years! I want to get my hands on all 3 titles you listed this as new favourites for this year. A beautifully personal list Linda! It's only August, and it was hard to choose just 3, but they are marvelous, Carrie. Enjoy them with your class! What a fun way to reflect on the posts you have written in the past and create a new collection. So many of the books you listed are in teachers' collections. It is important to revisit these texts because many of these will be new to children even though they were published a few years ago. Thanks! I wanted to be sure to share some old favorites. Oh there are so many! And we do get these donated to the bookstore, too, so am always glad to be able to share with customers. The new ones, among many, are also fabulous. Good books stand the test of time. Thanks for sharing these gems from your past lists. There are quite a few I need to check out. Terrific. I hope you find several that you love, Jana. Thanks! I just picked up Alma at the library the other day and definitely need to add it to my middle school classroom. Last year one of my more, um, energetic boys read Tia Isa to the class and paused in the middle of it to comment, "Family is really important to her. I like that." It was such a great moment. This is such a fantastic list. Several new ones to check out, several beloved ones to remember. Thank you! Thank you for telling that wonderful story about Tia Isa. It is a favorite to share often with students and remember. Yes, Alma is a beauty! What a wonderful list! I know some but not all and now I can go look for them. How fun that you work at a used book store. I bet you have wonderful conversations there. Yes, it's much fun to talk to customers about books, & my book piles at home also grows higher! Hope you find some books you'll love here, Liz! Great list! Can't wait to read a couple that are new to me. So happy to hear, Lori. Enjoy! The Lonely Postman and Alma are two titles I included in new units I am designing for clients. I love this list. Giving me lots of ways to consider texts I pair. I don't know How to Be a Lion, but after reading your blurb, plan to read it. Thx. Both are wonderful books, I agree. I'm glad that the list will be useful for you, Mary Ann. 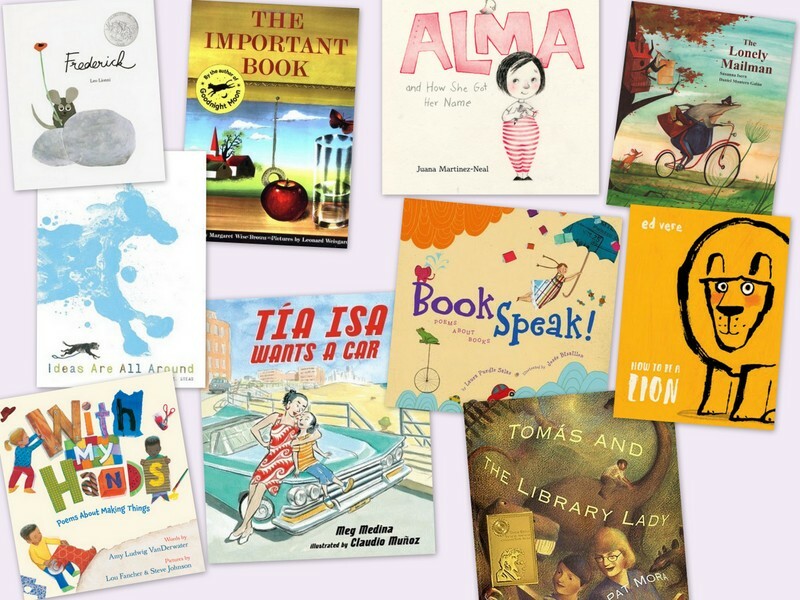 Several titles I already love - Frederick, The Lonely Mailman, Bookspeak! Others I'm adding to my request list at the library - Alma, Tia Isa, How to be a Lion, and With My Hands. My hold shelf will be overflowing for the next few weeks! I know, mine, too! I'm surprised that some are new to you! 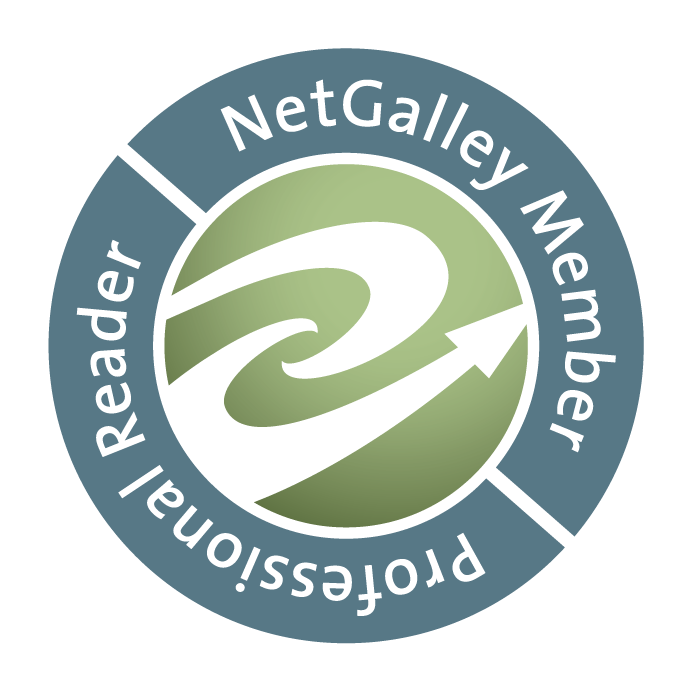 You read so many, too! Thanks, Ramona! Even though you are no longer teaching, your posts are teachers for those of us who are. Thanks for sharing all of these books. I start with kids on Monday and my wheels are turning with all I want to do with them. Thanks! Best of wishes for Monday, Margaret. I hope some of these books will be good ones for you to share! Frederick would be on my list of all-time favorites, too! Thank you for sharing your favorites, Linda. So many books to love! Yes, it is a most wonderful book, I agree! Thanks, Catherine! LOVE how you pulled from the past to mingle with the present and create this wonderful list, Linda! Thanks for sharing these treasures. You're welcome, Robyn. Picture books are wonderful! It is a favorite of mine, Laura and will continue to be. Hope you discovered some books new to you here, too!